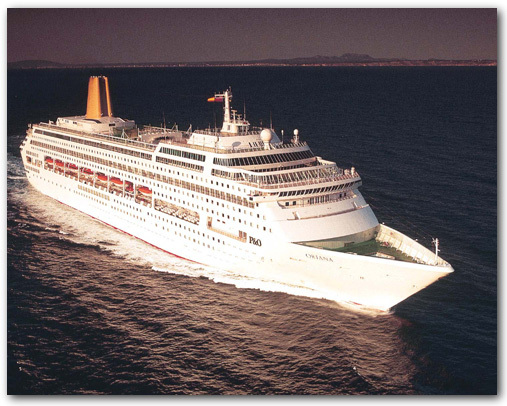 Yesterday evening I was made aware by a blog reader that there had been a small incident onboard P&O Cruises Oriana. The CruiseMiss reader mentioned her mother and daughter were currently onboard the ship and they were reporting a small engine room fire. Oriana was due to leave Dublin yesterday evening at 8pm however it was 9.45pm by the time she actually sailed. According to reports crew were called to muster and an announcement was made that there had been a technical issue. A statement from P&O Cruises on the incident read ‘Oriana experienced a minor technical issue yesterday evening. Full power was maintained throughout and there is no impact to onward itinerary’. Oriana is currently sailing a 14-night Iceland cruise and today is on her way to Reykjavik. She will also call at Isafjord, Akureyri, Alesund, Flam and Stavanger before returning to Southampton on September 2. It seems passengers were virtually unaffected by the incident, aside from having a few extra hours in port. With all the recent negativity surrounding cruise ships I feel this piece of information is a credit to how well an unexpected situation can be controlled and ultimately resolved. You can’t predicted when things will go wrong but credit to Oriana’s crew for handling the incident as well as they did.